There is 17.5 inches of complete style, grace and elegance with the Empress Black 7-8mm AA Quality Freshwater 925 Sterling Silver Pearl Pendant. A compliment not met by many but a great value to you and your wardrobe. 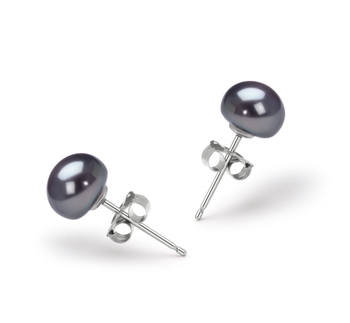 The shine of the 925 Sterling silver combined with the lustre of the AAA grade, you will have an amazing and glowing combination of natural and refined beauty. 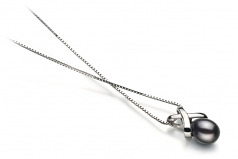 The lay of the chain and pendant will compliant and enhance and top or dress regardless of the occasion. 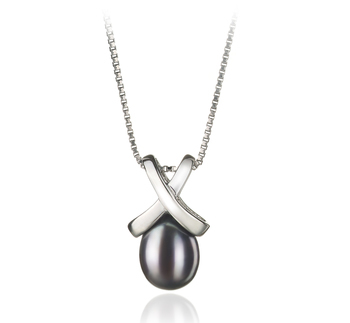 Take in the beauty of the crossed pattern on the pendant as it holds the key to the dyed Empress black drop pearl. It is a beauty beyond the expectation of many but noticeable by all.